Come to think of it, I've set foot in The Fullerton Hotel a few times in my life. Every time I was there, it would be for a friend's wedding. The place has always struck me as a luxury 5-star hotel meant for business travellers or the affluent locals. 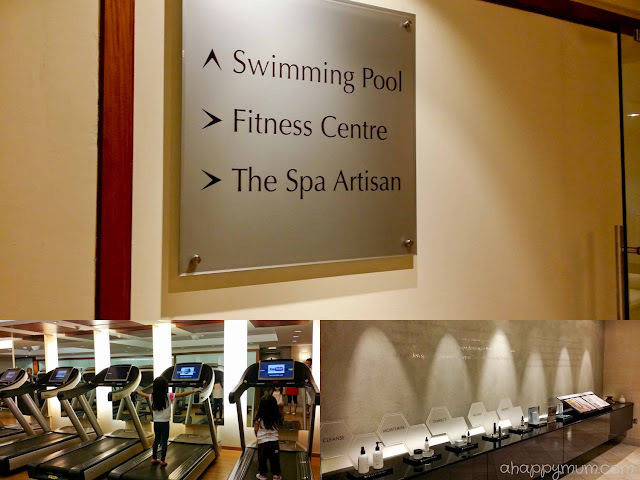 Having come from a not so well-to-do family and subsequently having kids of my own, I would have never listed the hotel as one of the pocket-friendly or family-friendly places that we have to visit. So when The Fullerton Hotel wrote in to invite our humble family to experience a family staycation and review their "June Specials" Rooms Package, I was naturally thrilled to get this opportunity to spend some quality time with the hubby and kids. However, what I did not expect was how the stay turned out to be a truly enjoyable time for all of us, especially for the little ones. I'll tell you why. We stayed in a 39m² Premium Quay Room which had an adjoining balcony, a well-lit work corner, a fully stocked mini-bar, coffee and tea making facilities, fresh fruits, complimentary WiFi, and a bathroom with separate bathtub and shower stall. We were pleasantly surprised to see that the staff had taken extra care to arrange an additional single bed for us in knowing that we would be bringing two kids. Look, don't the beds look so inviting? In fact, the first thing the kids did was to jump onto the beds, tuck themselves under the sheets and get all warm and cosy. More to their delight, the kids also found a pair of adorable Postmaster teddy bears to call their own, thanks to the generosity of our host. 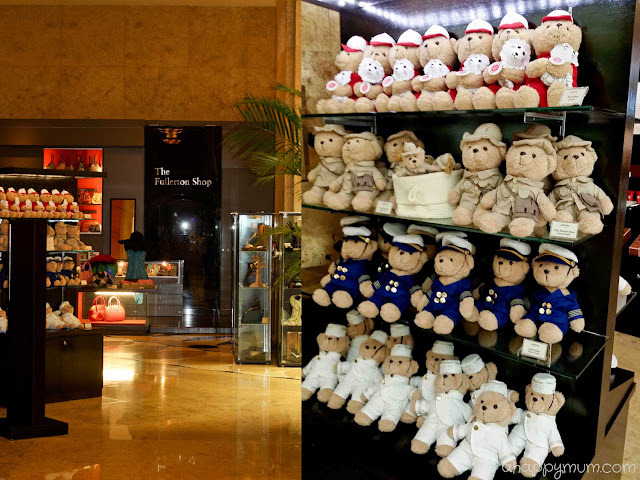 Clad in the traditional Postmaster uniform, the teddy bear showcases the heritage of The Fullerton Hotel which was once home to the General Post Office. The Postmaster bear can be purchased at The Fullerton Shop located at the lobby at a price of S$22. Moving on to the bathroom, what I like about it besides being spacious is that the toilet, shower stall and bathtub areas are all adjoined yet separate, each occupying an area of their own. That essentially means while the hubby occupies the toilet, I can still take a shower in peace while the kids are enjoying their bathtub playtime right beside me where I can see them. How nice, right? We also love that the bathtub is wide, big and deep enough for them to have a splashing fun time without needing to squeeze! 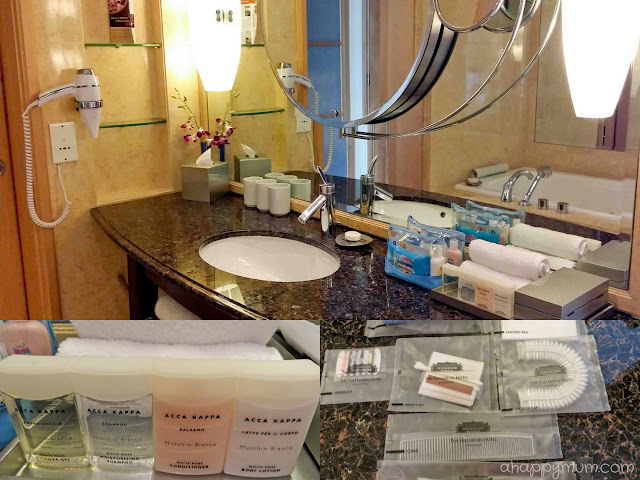 In terms of toiletries, except for my own facial cleanser and our own toothbrushes (we prefer to use them when we are out), there was really nothing else we needed to bring because everything was catered for - including luxurious Acca Kappa hair and body care products, shower cap, shaving and vanity kits. So, what was our favourite part of the room? Well it had to be this - the balcony. 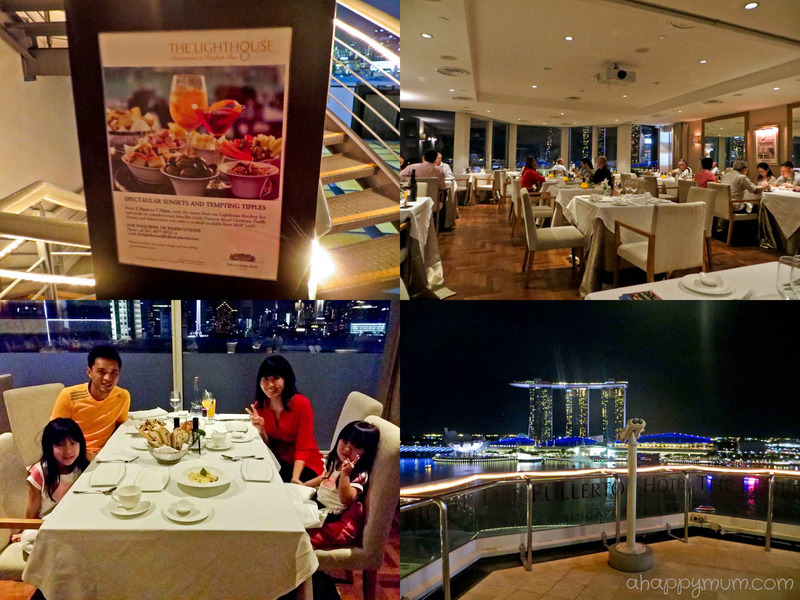 We were ecstatic to get a balcony which had a gorgeous overlooking view of Marina Bay and guess what? We could even watch the SEA games sailing competitions which were happening that day! See? Who could have resisted a view like that? In fact, we found ourselves stepping onto the balcony umpteen times just to admire the scenery, breathe in the fresh air and take in the beauty that our island has to offer. It might have seemed like we already had the perfect room to start off a wonderful stay. What truly added on to our joy and sense of comfort were in the little details in the room or the little touches taken to make us feel at home. This was something that the hubby and I really loved - curtain controls right beside the bed. Yes, this means we did not have to keep getting in and out of bed just to open or close the curtains in order to adjust the amount of light that came in. How convenient, right? This antique looking clock also left an impression in us. The hubby was trying to tell the time in the middle of the night and he realised that the clock would light up when you lift it off its base, and the light would go automatically go off when you place it back. No more fumbling around in the dark for a mobile phone or trying to find the light button on the clock! As for what impressed me the most, it would be the extra mile the hotel went in knowing that we were on a family staycation. Seriously? Kodomo toiletries in the bathroom? I always thought that I had to bring my own children's shampoo, shower foam, powder, body lotion and wipes whenever we go on holidays or staycations. 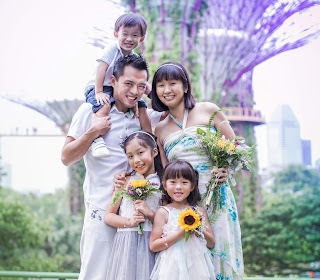 This was the first time, the very first time, that needs like these were taken care of and knowing that our children were valued, that was the deciding factor in making our stay an enjoyable one. In addition, to further delight the kids, there were colouring materials and even ice cream passes waiting for them! The colouring book was not just any material printed online, but a book themed Our Fullerton Adventure so that the kids could learn more about the place as they coloured, played games and solved puzzles. The ice cream passes allowed them to redeem ice cream daily at Town Restaurant, how sweet! It was therefore not surprising that the kids were willing to spend a good couple of hours in the room while occupying themselves with the colouring and playing games like hide and seek. From their smiles, it wasn't hard to realise that they were off to a happy start. 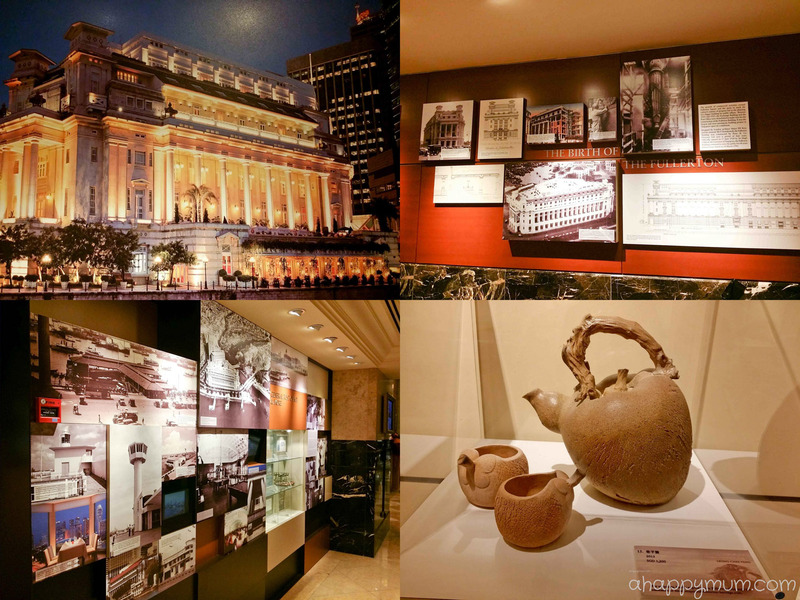 The Fullerton Heritage Gallery lets visitors learn about the history and birth of Fullerton. It also features a 800-square foot gallery with displays that include photographs, maps, stamps and philatelic materials that date back to 1932. The kids' favourite were, however, the giant Postmaster bear standing beside the iconic red pillar post box at the entrance. The Fullerton Cake Boutique located at the hotel’s lobby level allows you to treat your palates to handcrafted cakes and pastries baked by the hotel's chefs. I was pleasantly surprised to see that I could even find rice dumplings here during our stay, even though you had to order in advance as it might take a few hours before you could lay your hands on one. The Fullerton Shop features a range of Fullerton merchandise including stamps, postcards and the adorable bears in various designs. There is even a SG50 limited edition with the bear dressed in red holding onto a Merlion! If you are in need for a fitness workout or would like to indulge in a spa treatment, then you might wish to visit The Spa Artisan or Fitness Centre located on the mezzanine level of the hotel. So, what was the kids' favourite facility? I think we usually get the same answer from every of our staycation. The pool, of course! 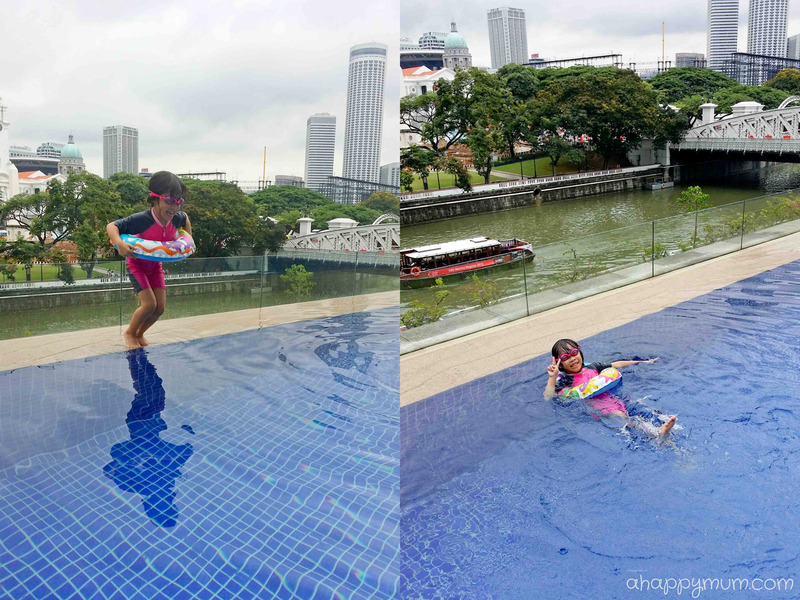 Even though it is not huge, we did enjoy having a swim in the 25-metre outdoor infinity pool which overlooks the charming Singapore River. Did I forget to mention that there were kids sized bathrobes and bedroom slippers in our room? How sweet of the staff to even think of this, right? I thought the girls looked so cute in the robes! The main highlight of our package stay was the culinary demonstration led by Chef Bobby and his team. 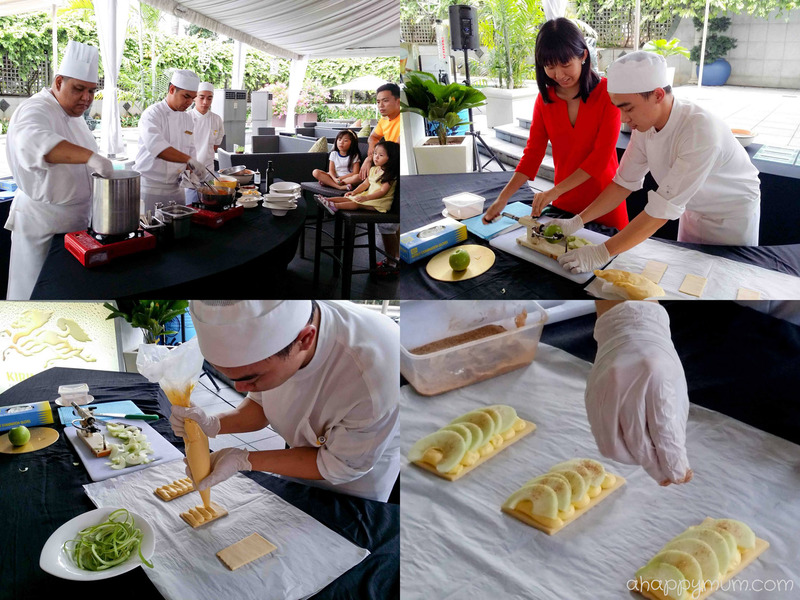 In just half an hour, he showed us the basic steps of making pasta and apple tarts, and even allowed us to sample the dishes on the spot. It was also my first time using an apple peeler, slicer and corer and you bet I was pretty amazed by it. We were definitely impressed by the pasta sauce which was really yummy, however we thought that the spaghetti was not cooked enough due to the lack of time. As for the apple tart, it had a nice golden brown crust and I thought the sugar level in the filling was just nice for me, though it might be a little too sweet for the kids. 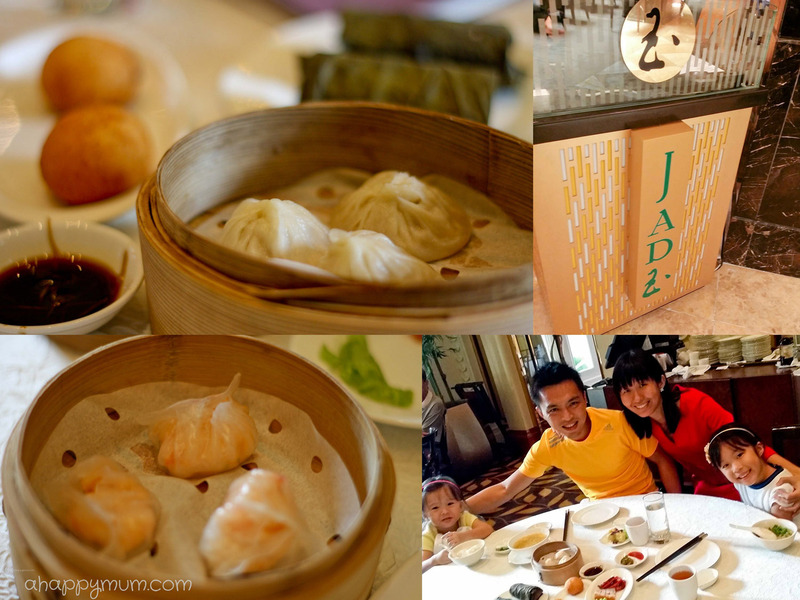 Even though the event was held at three o'clock in the afternoon and the kids had not yet taken their naps, we all enjoyed ourselves chatting with our host and the chefs, and it was definitely a nice and yummy time we spent together as a family. The Fullerton Hotel features four restaurants - Town Restaurant, Jade Restaurant, The Lighthouse and The Courtyard, as well as two bars - Rooftop Bar and Post Bar. Even though it was just a weekend staycation for us and time was scarce, we managed to visit three of the restaurants and one of the bars. Not bad, right? Refurbished in resplendent shades of silver and gold, Jade is a modern Chinese restaurant that takes fine dining to a new level with unique dim sum creations, wholesome soups and signature dishes. We were there for lunch on the Saturday that we arrived and boy was it crowded! In fact, we tried to come back a couple of weeks later only to realise that the place was fully booked already. 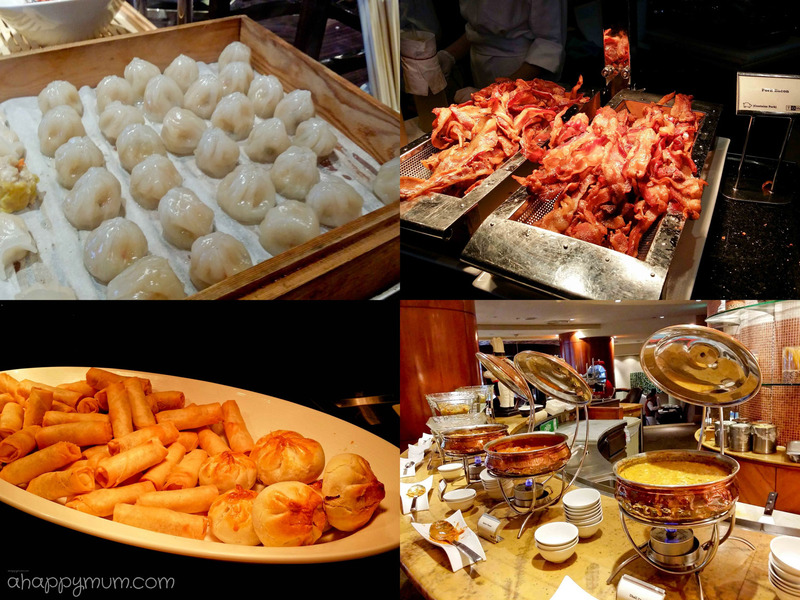 For a price of S$38++ per adult, you can get to enjoy a dim sum buffet on Saturdays and Sundays (1st seating from 11:00am-12:45pm and 2nd seating from 1:15-3:00pm). For those with young children, the good news is it is free for kids below the age of 6! Woohoo! 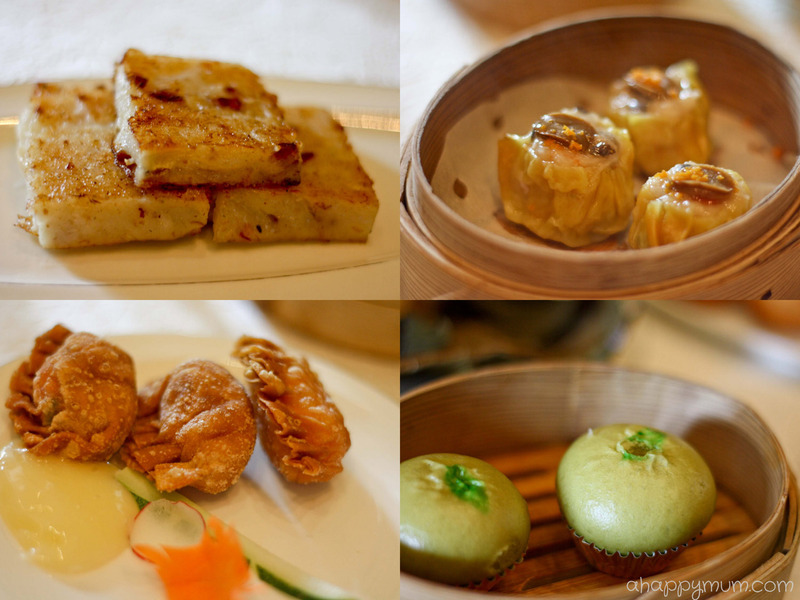 Although we can't say that the dim sum was the most superb one we've had (considering that we also like the food at Imperial Treasure and Yum Cha), it is surely one of the best restaurants we've tried. What I especially admire is how the chefs here try to come up with their own creations, for instance the green tea flavoured custard buns, poached enoki mushroom and squid ink dumplings, as well as steamed siew mai with abalone were definitely quite memorable! With a breathtaking view of the city skyline and Marina Bay waterfront from atop The Fullerton Hotel, The Lighthouse Restaurant and Rooftop Bar offer diners an unforgettable experience with the atmospheric setting and authentic Southern Italian cuisine. The kids tried the Tortello Ripieno (homemade pasta), the hubby had Frittura Di Paranza (crispy fried seafood) and I decided to go for The Lighthouse Heritage Specialty -"Spartan's" Pork Chop (golden breaded pork chop). The food was up to our expectations and I specially loved the sweet and sour sauce that accompanied the pork chop while the hubby enjoyed the variety of seafood in his. 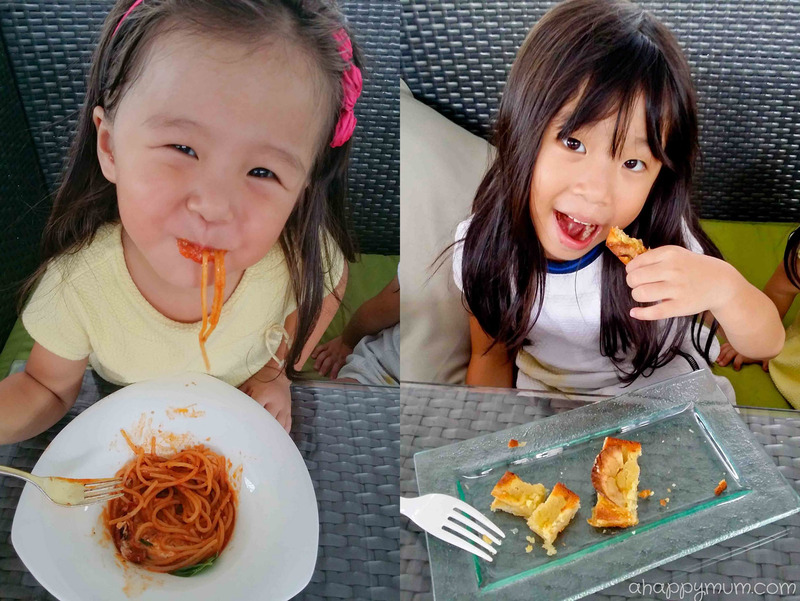 What amazed us most was how the girls gobbled up every bit of their dish even though we were initially worried that they might not know how to appreciate the cuisine. The only thing that peeved us slightly was that despite our repeated requests for a baby chair, it didn't come even when we were nearly finished with our meal whereas another customer who arrived later than us got it first. The staff felt apologetic about it when we were asked for our feedback and so, they offered the girls complimentary ice cream for dessert which made them over the moon. Once you are done with your meal, you can head up to the adjoining bar upstairs and enjoy a mesmerising night view of our beautiful city. Look, isn't this sight truly awesome? To sweeten the deal, you can even watch the Marina Bay Lighting Show - Wonder Full, enjoy the visual effects and admire the laser lights lighting up the night sky during the 13-minute show. We were lucky that the place was not packed that night but if you were to visit during the peak period, you might need to come earlier to secure a good viewing spot. For details on showtimes, go here. On the day of our checkout, we had breakfast at Town Restaurant which is an all-day dining restaurant ideal for a power breakfast, business lunch or idyllic buffet dinner in a sophisticated atmosphere whilst enjoying views of the Singapore River. 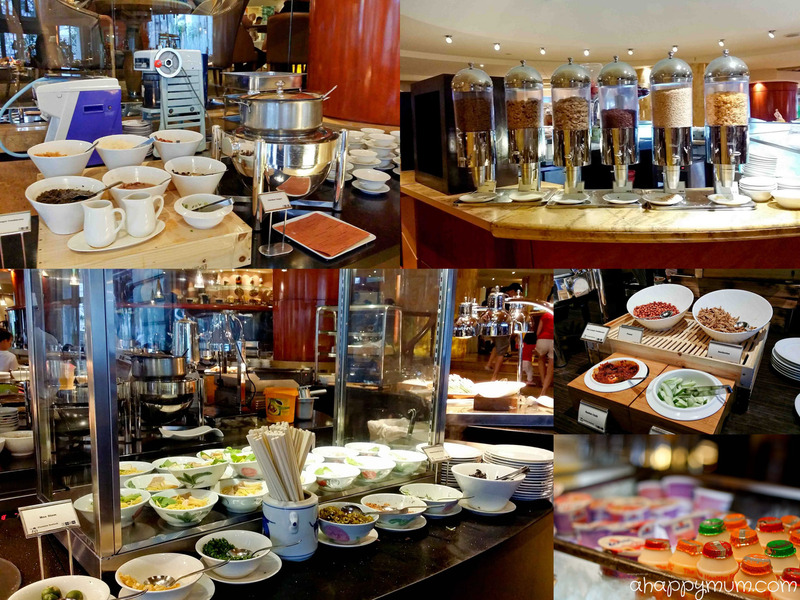 Western, Japanese, Malay, Indian and Chinese cuisine - you'll most likely be able to satisfy your breakfast cravings from the wide selection of food while reading through the day's newspapers. 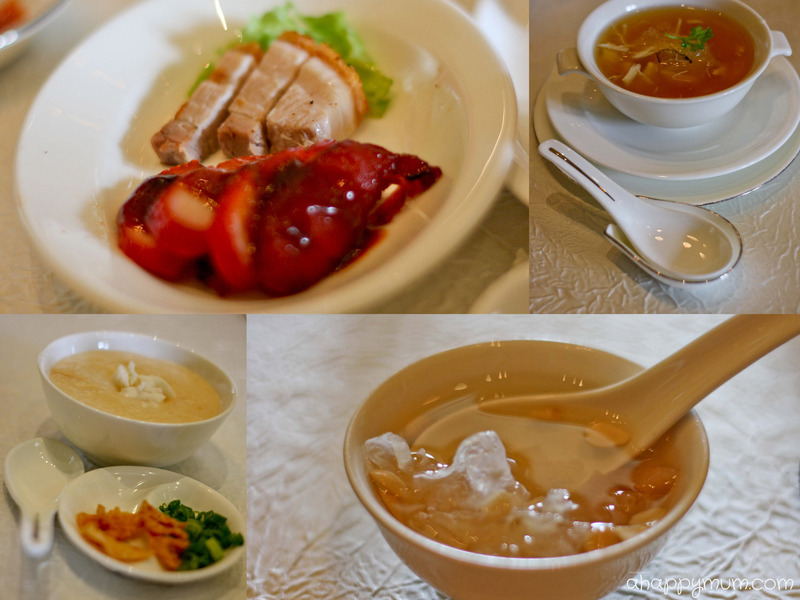 For those with babies, there is also congee available so you don't have to worry about bringing jar food. Ariel also found not just her favourite strawberry yoghurt but even Yakult too! Besides being thrilled to see my favourite egg station where chefs whipped up fresh omelettes and sunny side up eggs for guests, I was also intrigued to see a coffee corner where traditional coffee cups were provided and there were even instructions on how to prepare a cup of "Heritage Local Coffee". 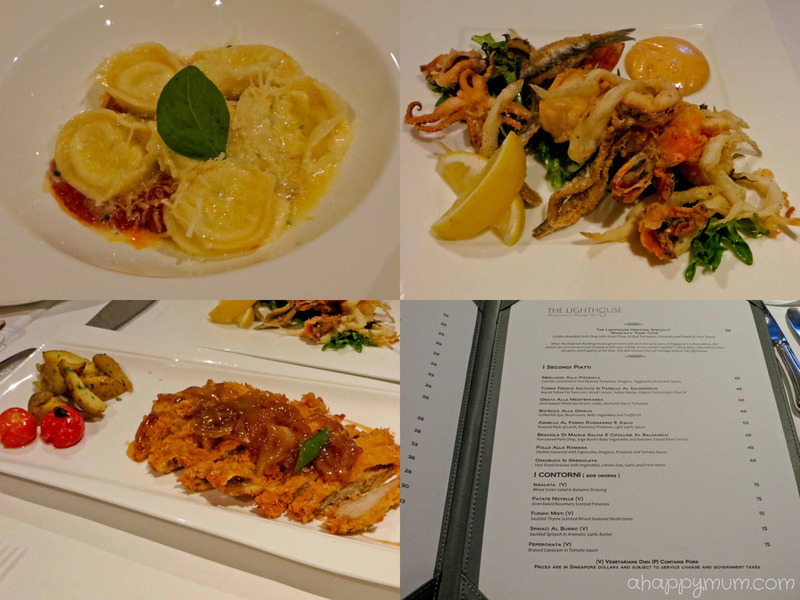 Considering that we've travelled aplenty in Europe and Asia and experienced breakfasts in a considerable number of hotels, the hubby and I agreed that while the taste of the food would not score a 10/10, Town Restaurant definitely offers one of the best spreads and we appreciate the luxury of being able to pick what we like from a range of options. If I had to choose my personal favourite, it would be the crispy gosong roti prata that tasted heavenly when dipped in the chicken curry! Yums! With an ideal location in the heart of the city, there are many sightseeing opportunities in the vicinity of The Fullerton Hotel. The Merlion, one of Singapore's most iconic landmark, is just across the road at One Fullerton, a waterfront dining and entertainment complex which is linked to the hotel via an underpass. You can also take a 5-minute walk to the Asian Civilisations Museum which is housed in the historic Empress Place Building and features 11 thematic galleries displaying 1,300 artefacts from all over Asia. If you have a love for arts, then take a 10-minute walk to The Esplande- Theatres on the Bay to catch local, regional or international shows or catch the free daily performances at the concourse. How about a river cruise on a traditional bumboat? This can be a one of the best ways to explore Clarke Quay, Boat Quay and the Marina Bay waterfronts. More information can be found at the boat kiosk beside Town Restaurant. For a list of places you can visit around The Fullerton Hotel, go here. After this experience, I have to say that my perception of The Fullerton Hotel has changed. 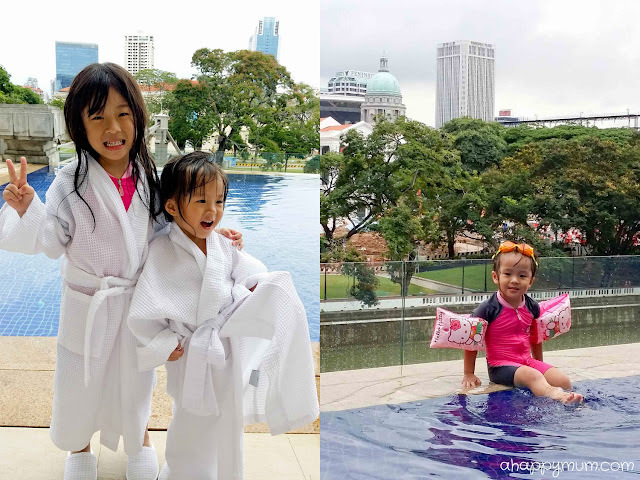 Still the same luxurious hotel that I previously thought, but at the same time, it is a family-friendly one that has much to offer for a fun-filled staycation. We definitely hope to be back again in future! 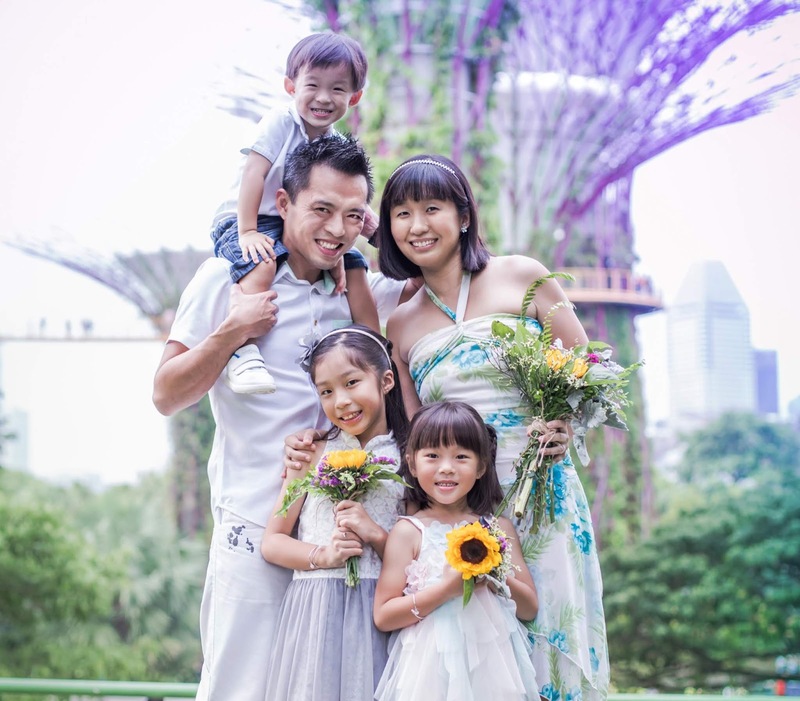 To see more packages The Fullerton Hotel has to offer, including National Day and SG50 promotions, go here. 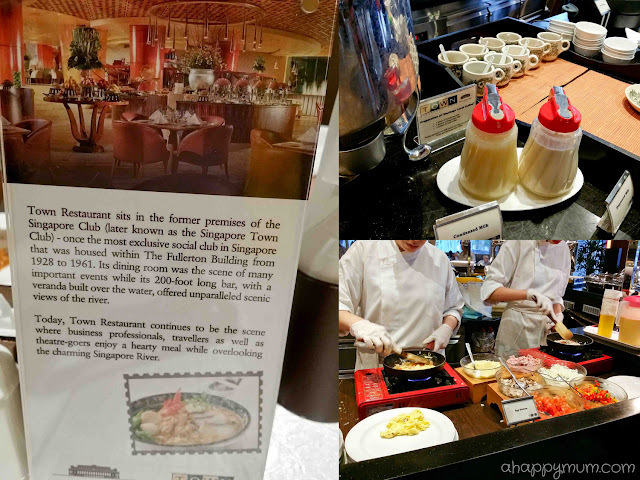 Disclosure: We were invited by Fullerton Hotel for a family staycation to experience their June Specials Package. All opinions are ours. Wow it looks so beautiful!! I remember when it was the General Post Office and going there with my parents! I feel so old saying this haha.